When the snow flies in the Silver Lake area, winter enthusiasts have plenty of activities to keep them busy during the cold months. Skaters and bicyclists abandon the William Field Memorial Hart-Montague Bike Trail, in favor of snowmobiles and cross country skiers. Once there's 4+ inches of snow on the ground, the trail is good to go for those who love the feel of cold air on their face as they whiz through the countryside. 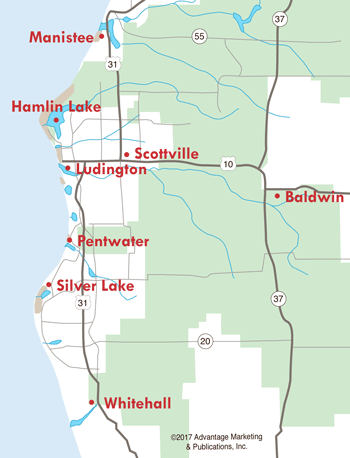 The William Field Memorial Hart-Montague Bike Trail is 22.5 miles long and was the former route of the Grand Rapids and Lakeshore RR Company. The trail opened in 1991 and is extremely popular with people of all ages. It features restrooms, benches, and picnic tables along the way, along with the beautiful, scenic countryside. 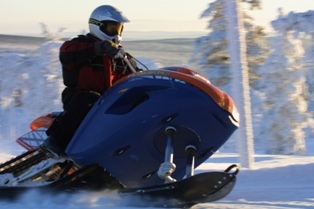 The entire trail is accessible, and considered quite safe for snowmobiles due to its relatively flat landscape. If you love cross country skiing and snowmobiling, give the William Field Memorial Hart-Montague Bike Trail a try this winter. And for food and refreshment, be sure to take a break in the communities along the trail--Hart, Shelby, New Era, Rothbury, and Montague.